I do love my pin tray it always makes me smile! 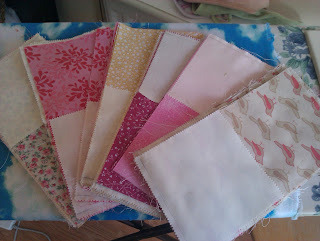 I've joined Lily's Quilts Small Blog Meet, so if you've found your way here from there, welcome! I'm really new to blogging but am having lots of fun and finding some other great blogs along the way. I also have great plans to do the one on the cover at some point! yep, scrappy bits of post it notes!! I think I need a better system, any ideas? 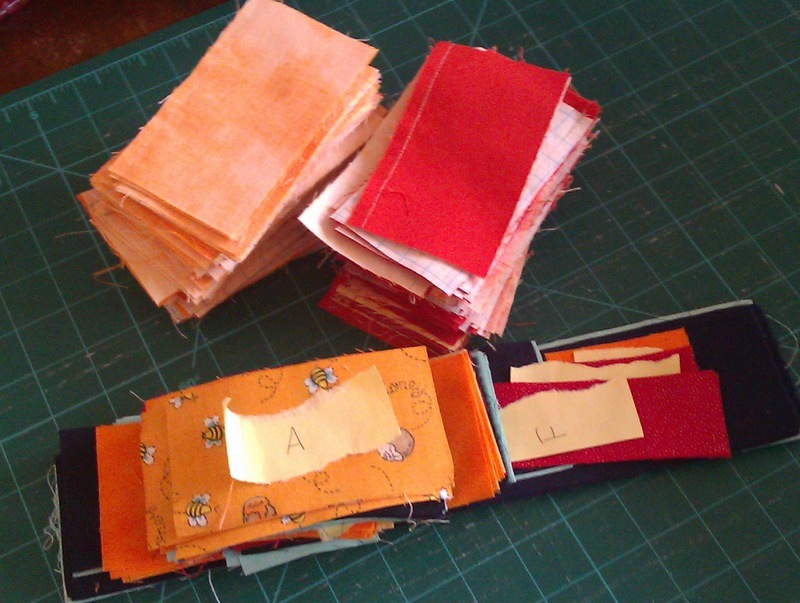 I also managed to squeeze in making another jean pocket toy for my friend's son's birthday! I really LOVE your pin dish! 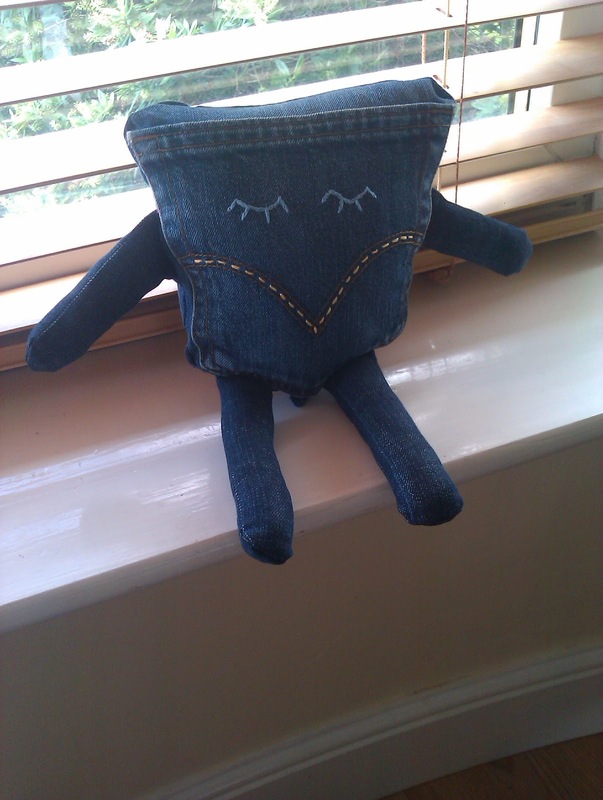 The jean pocket toy is adorable! 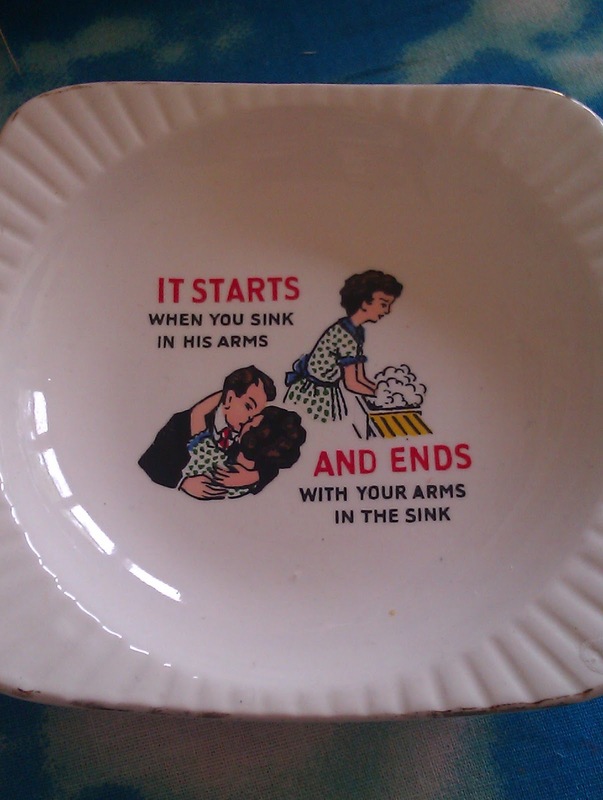 What a fun dish! 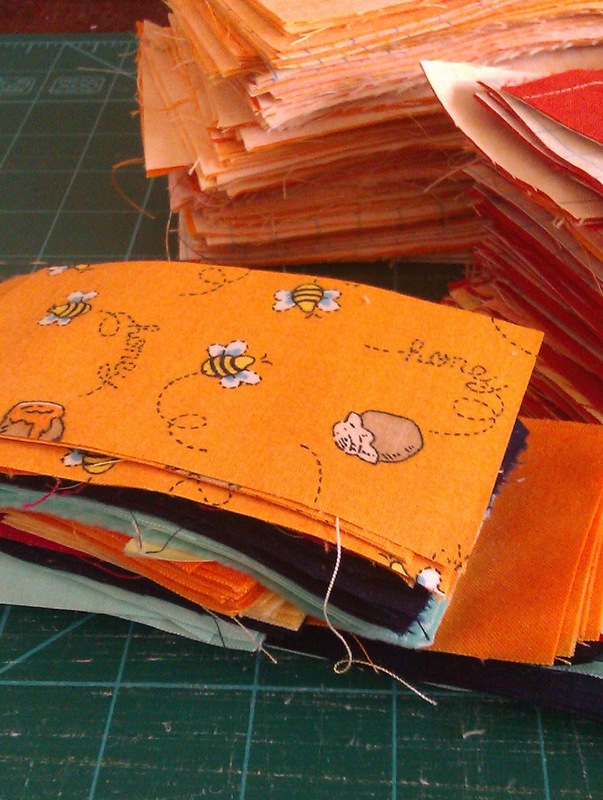 Love the colors in the quilt you're making for your son. Looks like a fun pattern, too! Welcome from one small blog to another! I hope to get to know you more and can't wait to see that owl quilt! Hi there, from another small blog meetup-er! I saw a great pattern online at Oh! Frannson for pins with big felt letter labels sewn onto the top specifically for this sort of thing, but she must have removed it because I can't seem to find it. Boo! That does look like a great book! Thanks for visiting my blog. I'm going to follow yours too.. That jean pocket toy is so adorable! What a great idea. Love your pin tray too. :) Nice to meet you. I've come here from Lily's and I look forward to following your blog. I've got lots of jean pockets and no idea of what to do with them - until now! Can't wait to see your sons quilt when you are done. I've come from Lillys Quilts. I'm part of the SBM as well. Come say hello. Greetings from SBM! That jean pocket toy is adorable, what a great idea!! 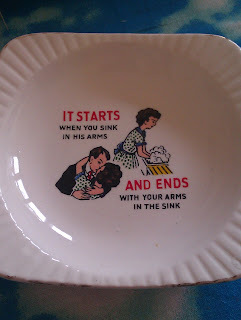 Sweet little tray- happy to say I rarely wash up, husband does most of it! Hi I've popped over from Lily Quilts small blog meet - am catching up on my blog hopping still! 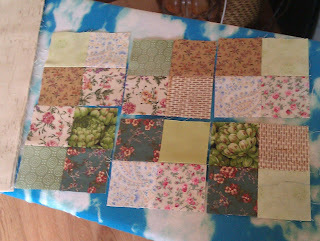 Your sampler quilt is fab - Crazy Mom Quilts was the first blog I ever followed. I think a "Does not compute" quilt will be coming to live at my house one day too! Love the jeans pocket toy(and your previous one).